There is no bigger question for sincere, young Christians (or all Christians for that matter) than this one: What is God’s will for my life? When we face major life transitions (like graduating from college), we stare into an uncertain future, looking for any signpost that will guide us toward taking that first step into the unknown. Where should I work? Who should I marry? In what city should I live? Our questions are large in scope and specific in nature. 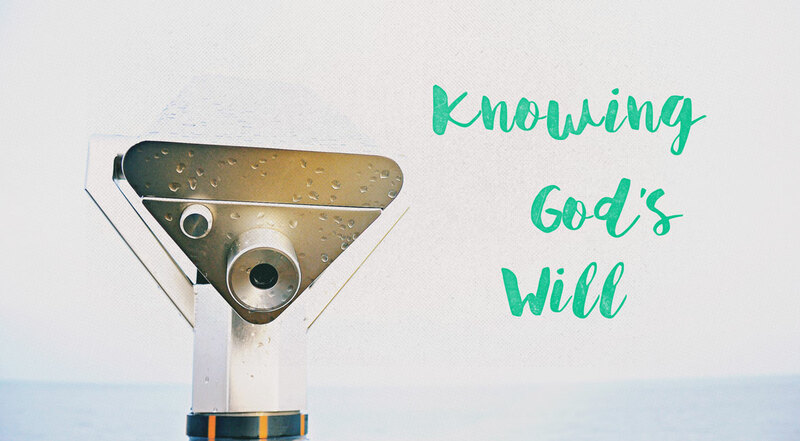 Because we desperately want to get it right, we beg God to reveal his will to us. Unfortunately, when we are young, we often lack the wisdom required to see or hear God’s answers to these pressing questions. Paul prayed that the people of the church in Colossae would be filled with the knowledge of God’s will. (Colossians 1:9) That is a beautiful prayer, one that resonates with me every time I face a difficult decision. But Paul isn’t praying that this knowledge would magically drop on them from heaven. Instead, he’s praying that they would undergo a process of receiving wisdom so that they can know God’s will for themselves. Knowledge of God’s will comes through the wisdom of God’s Spirit. The knowledge of God’s will comes through “all the wisdom and understanding the Spirit gives.” God’s will for your life is revealed through the Spirit’s wisdom. The Spirit gives us this wisdom as a gift – an act of grace. But that doesn’t mean that we sit idly by, like a child anticipating Christmas morning, awaiting the Spirit’s wisdom to drop from the heavens. Rather than being passive about gaining wisdom, the Bible urges us to search for it like hidden treasure. The best place to find the Spirit’s wisdom is in the Bible. But you already knew that. So let me give you something else. My wife and I stood over my grandpa’s bed as he lay dying. We could barely make out his voice, but I could tell that he was intent on passing something down to us, a final lesson of utmost importance. His final words to us were simple and profound, dripping with wisdom: “Love each other.” That was my grandpa’s wisdom. But it wasn’t his only; it was wisdom given by the Spirit. Wisdom is an accumulated gift, earning interest as it is invested in a life well-lived. Where most of us fail to seek out wisdom, ironically enough, is from wise people. Our culture favors the young, and so we fail to gain wisdom from those who have gone before us. Wisdom is an accumulated gift, earning interest as it is invested in a life well-lived. The Spirit speaks through the wise, who dispense wisdom and understanding on his behalf. If you have questions that are large in scope and specific in nature, seek out a wise man or woman in your life. Chances are, they’ve been there before, and may just have a thing or two to say about God’s will for your life. 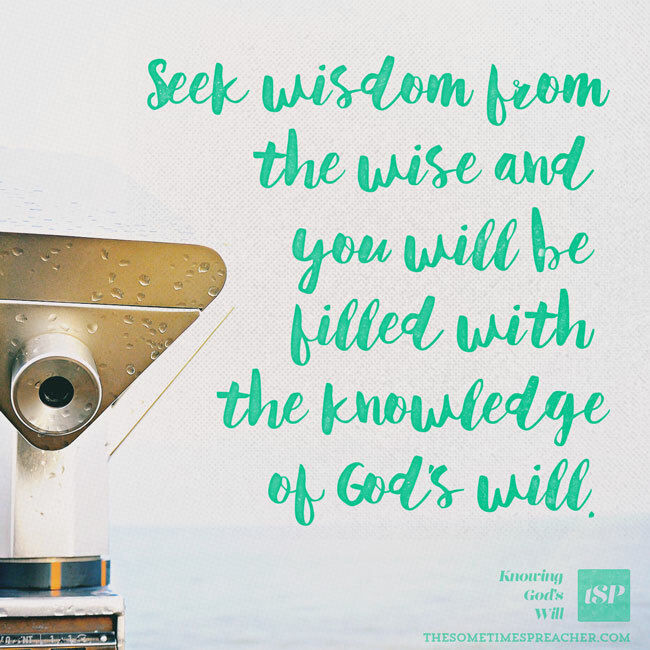 Seek wisdom from the wise and you will be filled with the knowledge of God’s will.